FNA – Commander of the Islamic Revolution Guards Corps (IRGC) Aerospace Force Brigadier General Amir Ali Hajizadeh said Iran places no trust in European countries, reminding that the bloc was the main supplier of arms to former Iraqi dictator Saddam Hussain during the 1980-88 war against his country. Hajizadeh addressed European countries’ recent comments about Iran’s missile might, including those of France which called on Iran last month to “immediately cease all ballistic missile-related activities designed to carry nuclear weapons, including tests using ballistic missile technology”. The commander made the remarks late on Thursday, during a ceremony attended by IRGC Commander Major General Mohammad Ali Jafari, where Iran unveiled its underground ballistic missile production factory for the first time. Hajizadeh described national security as the Iranian Armed Forces’ red line, saying the Dezful missile was the latest outcome of the Aerospace Force’s research activities. Describing the projectile’s features, he compared the success achieved through its production to that of the Zolfaqar ballistic missile, whose mass production the country began in September 2016. However, Dezful’s range reaches 1,000 kilometers, 300 kilometers above Zolfaqar, and its destructive capability is twice the latter’s “given the special materials used in its warhead,” the commander said. Officials have not revealed any further details about the IRGC’s underground ballistic missile production factory. The IRGC had earlier displayed missile towns where hundreds of its ballistic missiles have been deployed, but this is the first time that it has displayed an underground missile production plant. The footage released to the media, displayed production of Iran’s new surface-to-surface ballistic missile, Dezful. The new ballistic missile has a range of 1,000 kilometers and a 450-kilogram warhead.Dezful is a version of the Zolfaghar missile that has a 700km range. 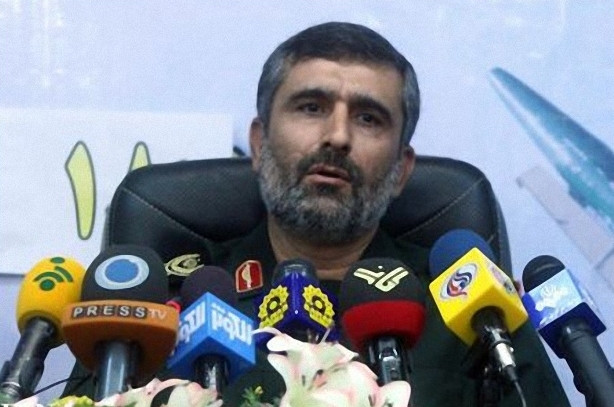 On Wednesday, Commander of the IRGC Aerospace Force Brigadier General Amir Ali Hajizadeh reiterated his country’s firm opposition to holding talks on its defensive issues and missile program. “The missile power is not negotiable. This deterrence power has been created for the country and we do not hold talks about it with anyone at all,” General Hajizadeh said, addressing a forum in Tehran.